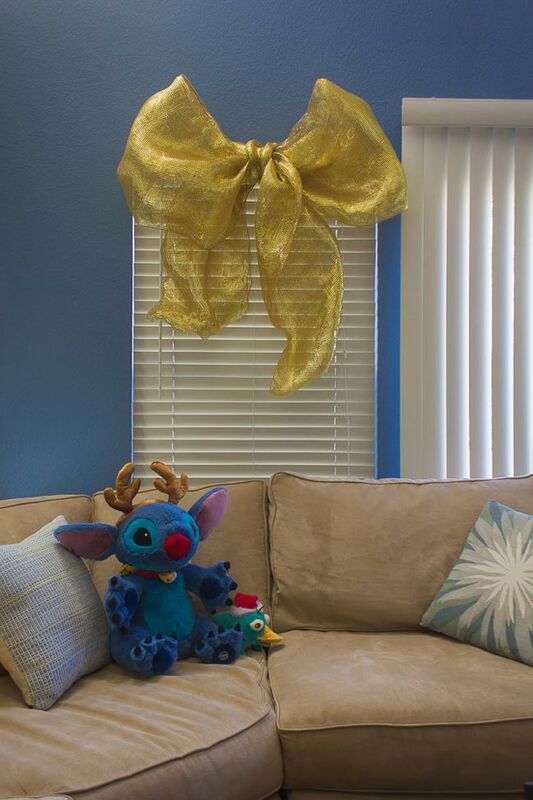 Whether you’re planning on gifting your kids a Disney trip and want to drop a subtle hint, or you just need a little more mouse in the house, if your kids have some time to spare before Christmas day this week, set them up with a few of these Disney-inspired craft projects. I used to make handmade Disney ornaments for the tree when I was a kid, and my husband is super impressed with my childhood painting skills, even if he doesn’t say it out loud. 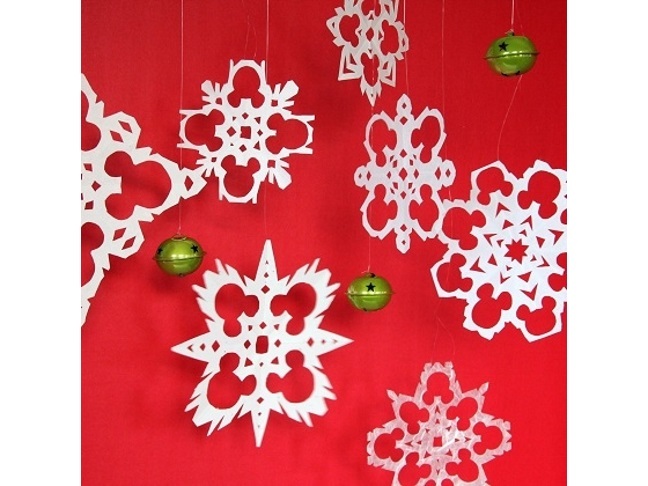 Making paper snowflakes, like these hidden Mickey paper snowflakes from Disney Family, was always one of my favorite Christmas crafts to do as a kid! 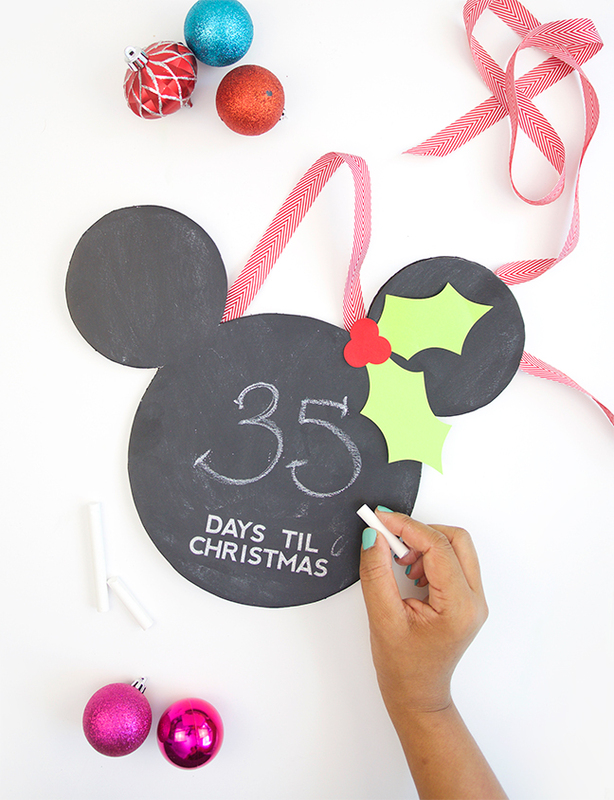 Get excited for the big day with a DIY Mickey Countdown Chalkboard via Momtastic. You could even tailor this project to a “Countdown to Disney” after the holiday is over. 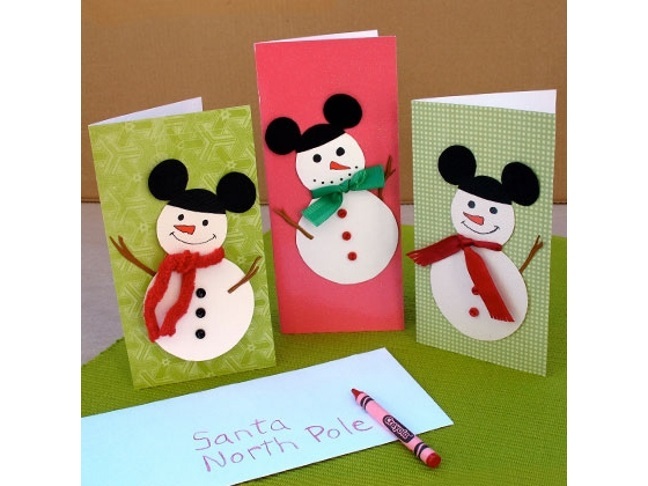 These Mickey Mouse snowman cards from Disney Family are too adorable! These little figurine ornament balls from Keepin It Simple look so easy to make. Love that she chose Cinderella—one of my favorite Disney films! 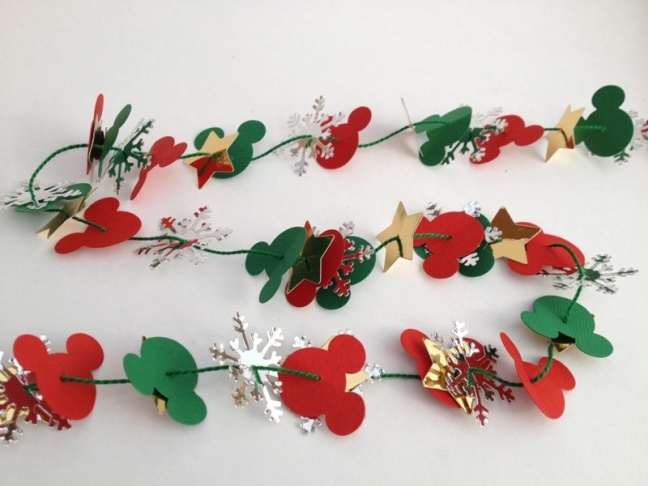 All you need for this festive Mickey tree garland from Inspired By Dis are some paper punches, embroidery thread, and a needle! Do you wanna build a snowman? 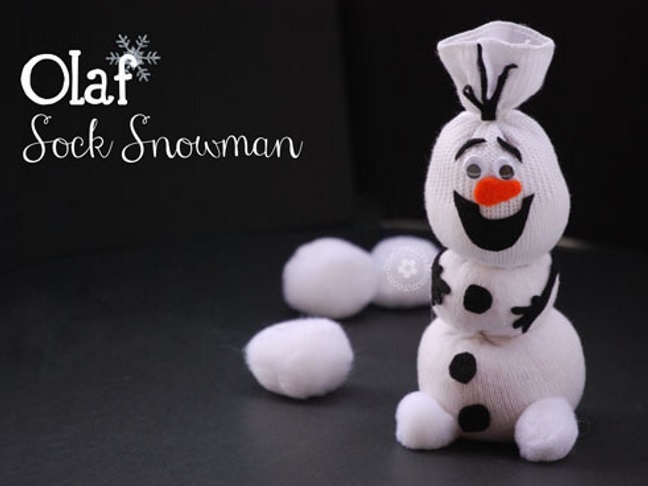 What a cute little sock Olaf by One Creative Mommy! 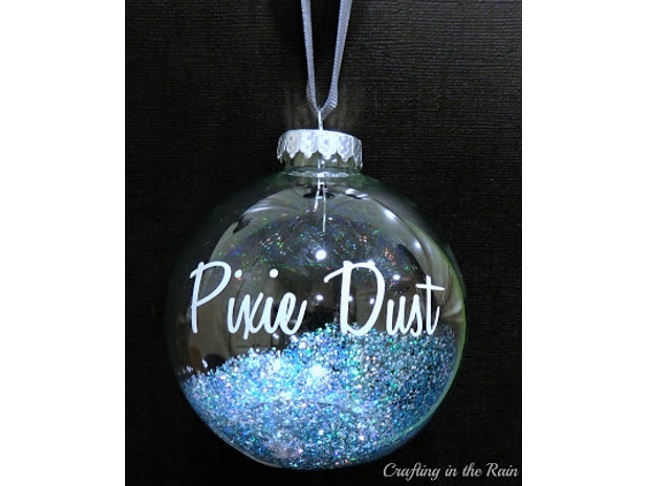 All Christmas trees could use a little faith, trust, and pixie dust! 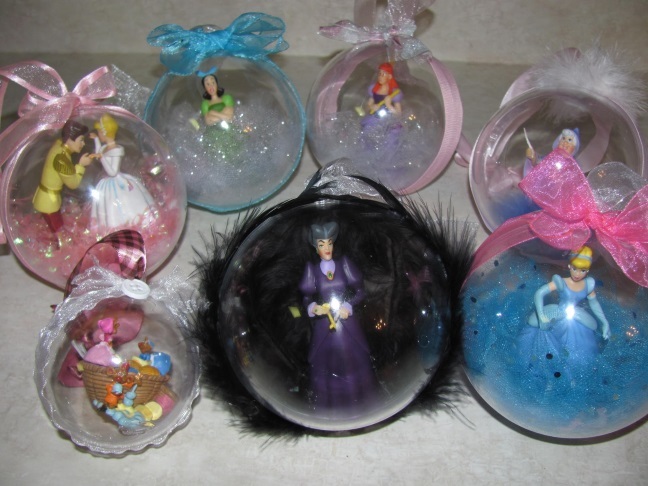 These ornaments from Undercover Tourist would do the trick! 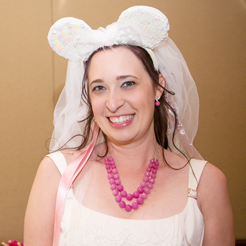 Giant bows are a Disneyland staple around the holidays. 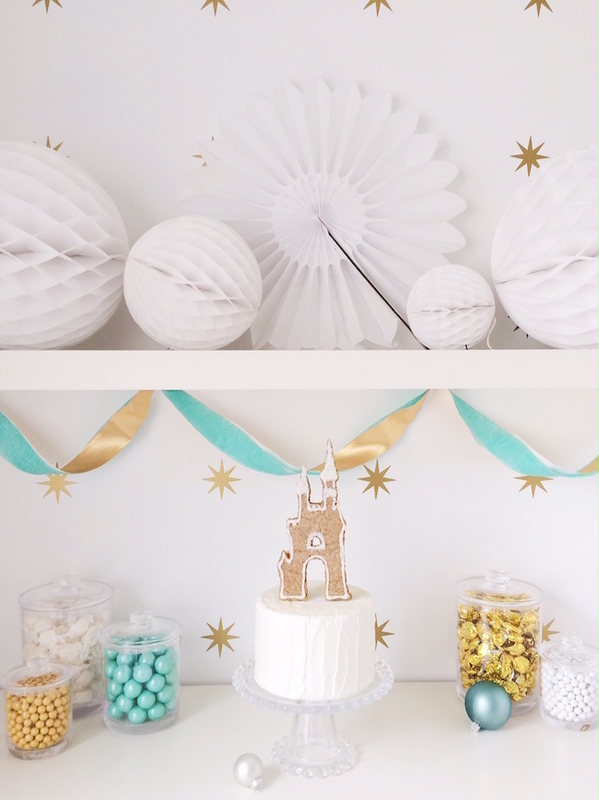 Make your own with this easy tutorial for Giant Holiday Bows via Momtastic. 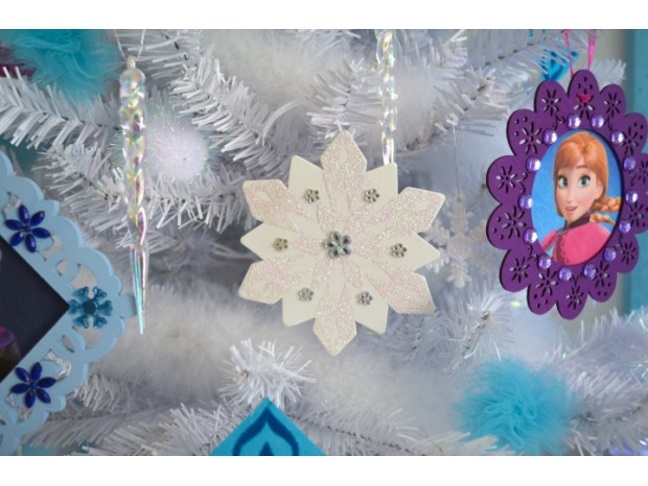 What an adorable little Frozen-themed Christmas tree from My Momma Told Me About…! She also has a tutorial for making the ornaments. 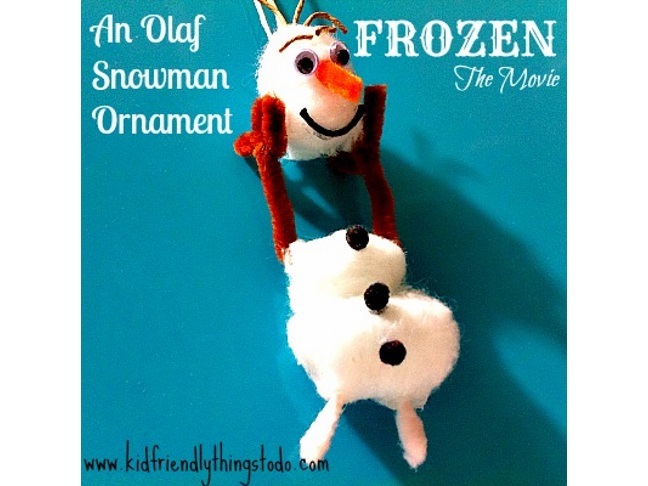 This Olaf ornament from Kid Friendly Things to Do is pretty cute! I love how he is lifting off his head. 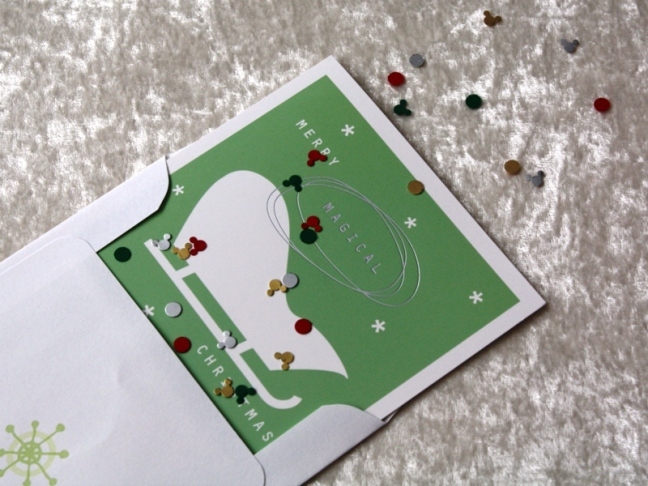 Add a little magic and fun to your holiday cards by including some Mickey confetti! So easy to make with a tiny Mickey paper punch and foil paper. Tutorial on Inspired By Dis. 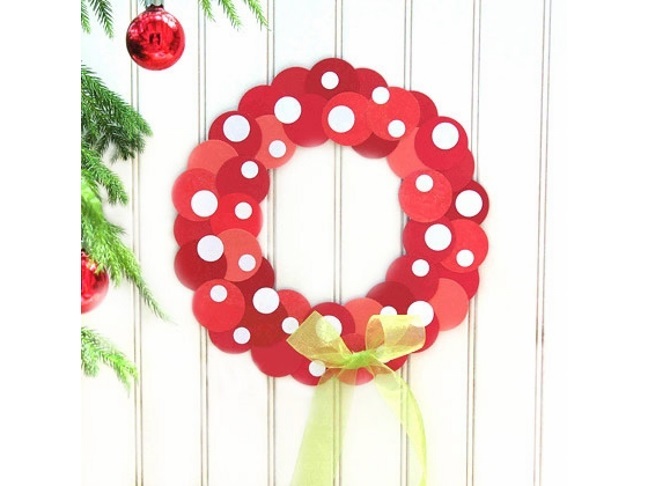 A simple holiday wreath themed like Minnie Mouse from Disney Family will add some cute to your front door!